Chicago’s West Loop is one of the hottest downtown neighborhoods for eating, drinking, entertainment and fabulous real estate opportunities. With a thriving restaurant scene and a stylish urban industrial atmosphere, there’s little to not like about living in the West Loop. And because business and industry keeps moving to the neighborhood, a real estate investment in the West Loop is sure to hold value for the foreseeable future. If you’re like many Chicago home buyers, you’ve probably already searched the West Loop real estate market once or twice. With so many desirable options, you’d almost be crazy if you hadn’t. 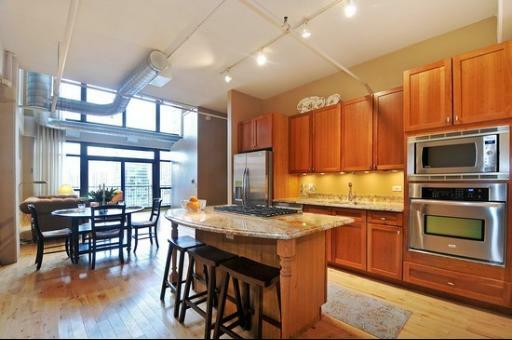 So if you hope to find the perfect West Loop loft or condo and don’t want to see the same real estate listings repeatedly, browse our new West Loop real estate listings page once every 2 weeks. Here you’ll be able to see everything new that hit’s the West Loop real estate market and avoid scanning over the same properties numerous times! And if you ever see a property you like, contact our West Loop real estate team at (312) 566-8141 today!